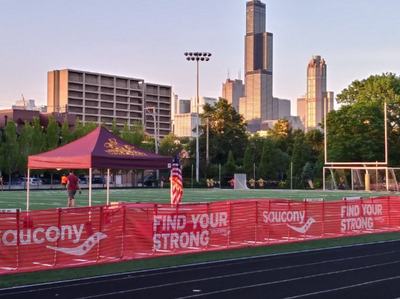 Begun in 2015, the Magis Miles is a night of one-mile races on the track at Saint Ignatius College Prep in downtown Chicago. There are races for runners of all ages and abilities. The 2019 event will occur on Friday May 31st, 2019. Races will begin in late afternoon and progress through the evening. One of our main goals with the meet is to make it FUN! Come for your own race and stay for the rest of the evening! Magis (pronounced "màh-gis") is a Latin term used by Jesuits and it means 'more' or 'greater'. Jesuits use the term 'magis' to mean doing more for others. Since Saint Ignatius is a Jesuit Catholic school and our objective with this meet is to do more for the track and field community, we thought it was an appropriate name! The highlight of the night will be the Magis Mile Championship at the conclusion of the meet. Our men's and women's races will feature some of the top collegiate and post-collegiate athletes from the midwest. This year, our prize pool has expanded. 1st Place will receive $1500, 2nd Place will receive $1000, and 3rd Place will receive $700. Any male athlete who has a qualifying time under 4:10.00 and any female athlete who has run under 5:00.00 is encouraged to register. Registration for the Magis Mile Championship can be done by emailing ed.ernst@ignatius.org. Travel and lodging assistance are available for eligible competitors. The Open Miles are open to runners of all abilities and age. These races are organized by estimated ability, not age. On the registration form, please include your estimate of your CURRENT fitness. For the faster Open milers, an actual time from the last year will be preferred. The Open Miles will have age category prizes. The top two athletes in each age bracket will receive a medal and a gift card to a local running store. The Ray Mayer High School Miles are for elite high school athletes. 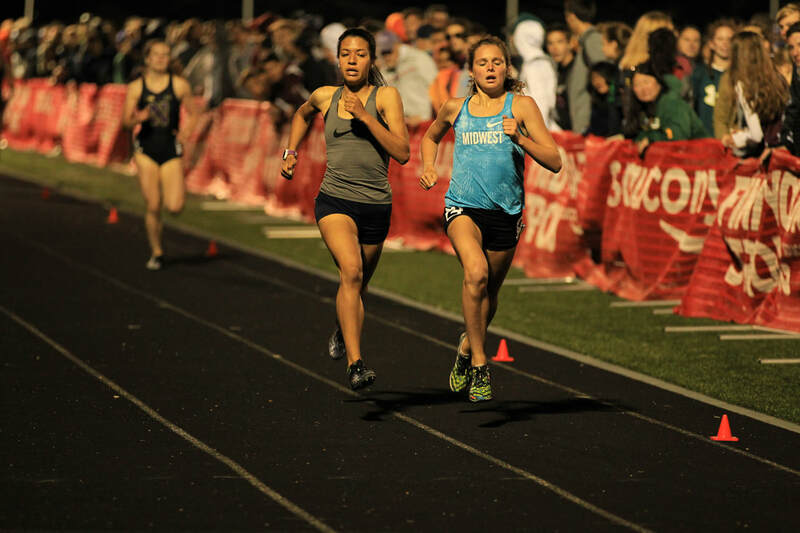 To be eligible for the Ray Mayer High School Miles, you must meet time requirements. All time submissions must have been in an official meet and be FAT. The qualifying standard for 2018 is 4:23.00 for boys and 5:10.00 for girls. All other high schoolers who would like to compete but have not met the time standard are encouraged to enter the Open Miles. Any boy or girl who are freshmen in high school and have met the time standard are eligible to race in the Freshman Miles. 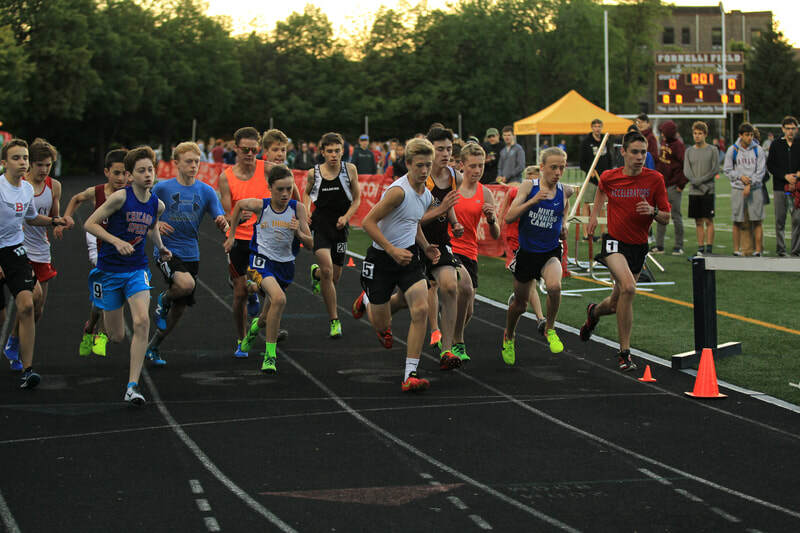 The 2019 time standard for boys is 5:00.00 and for girls is 6:30.00. We want to show our gratitude for the men and women who spend so much time and energy in supporting their athletes. Entry to the Coaches' Mile is free for all coaches of school or club programs. The Coaches' Mile is co-ed and unlimited entry. Note: For all events, heats are run in order from slower to faster. All questions related to registration can be directed to nathan.mcpherson@ignatius.org. Any questions related to entry in the Magis Mile Championship should go to ed.ernst@ignatius.org.